Hurricane Irma has strengthened into an "extremely dangerous" Category 5 storm as it approaches the eastern Caribbean — with the Virgin Islands and Puerto Rico in its sights over the next few days, per the National Hurricane Center. 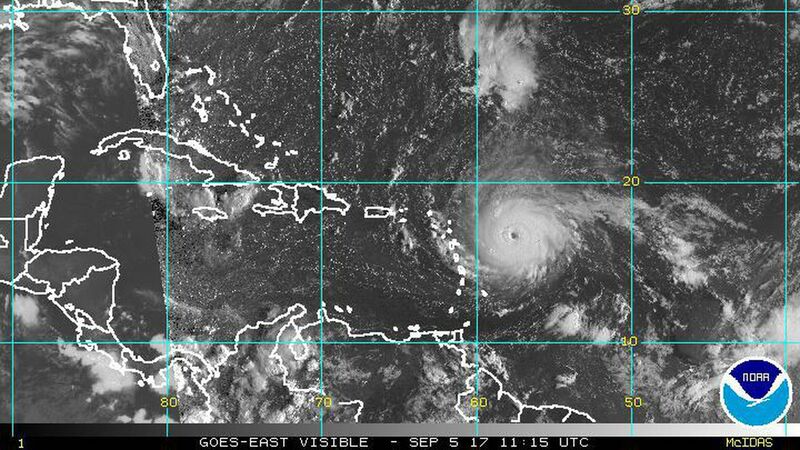 By the numbers: As of 7 a.m. EDT, Irma sits about 270 miles east of Antigua with sustained winds at 175 mph. The storm is expected to remain a Category 4 or 5 hurricane for at least the next few days. The impacts: The Virgin Islands could see a storm surge that tops 10 feet at some point tomorrow, coupled with Irma's intense windspeed. What's next: That's the big question. Most models put Irma as a major hurricane south of the Bahamas at some point on Friday, according to WaPo's Capital Weather Gang, but things get murkier from there. At that point, it's expected to turn north toward the Florida coast — though the exact track of the storm is anyone's guess.